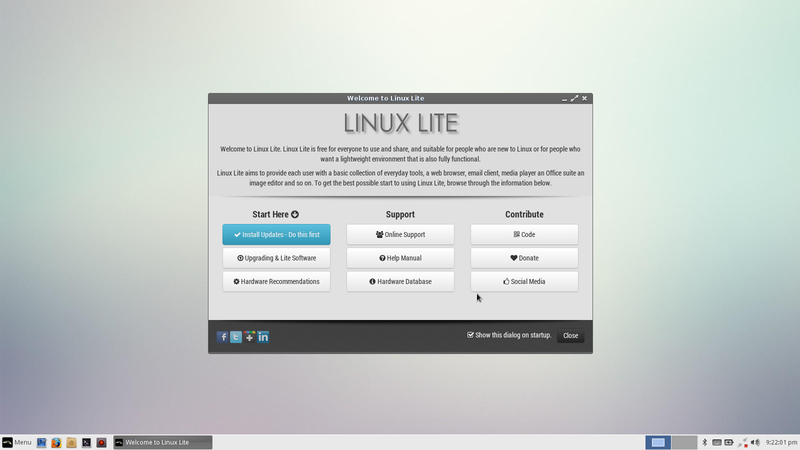 It has been a long time since I last reviewed Linux Lite, January 2013 to be exact. (read it here). The version at the time was 1.0.4. This review is for version 2.6. I thought version 1.0.4 was very good at the time so version 2.6 must be phenomenal, yes? That is all you really need to know about the purpose of Linux Lite. It is built for the Everyday Linux User which is why this is the best platform for review purposes. Make sure you choose the correct one for your needs. Linux Lite does not yet have a version that works easily with UEFI based computers which in 2015 is a little bit disappointing, especially as it is based on Ubuntu which does have UEFI support. You can create a bootable Linux Lite USB drive by using Win32 Disk Imager. To actually create the USB drive follow this guide but replace Ubuntu with Linux Lite. If you would prefer to you can always buy a Linux Lite USB drive. The actual installation of Linux Lite is fairly straight forward although if you are installing on a computer with UEFI then you will need to switch to legacy mode. On computers with a standard BIOS you shouldn’t have any issues. To install Linux Lite insert the USB drive and boot until the desktop screen appears. Click on the install Linux Lite icon and work through the steps. Linux Lite is based on Ubuntu’s Long Term Support release, version 14.04. The desktop environment is XFCE. 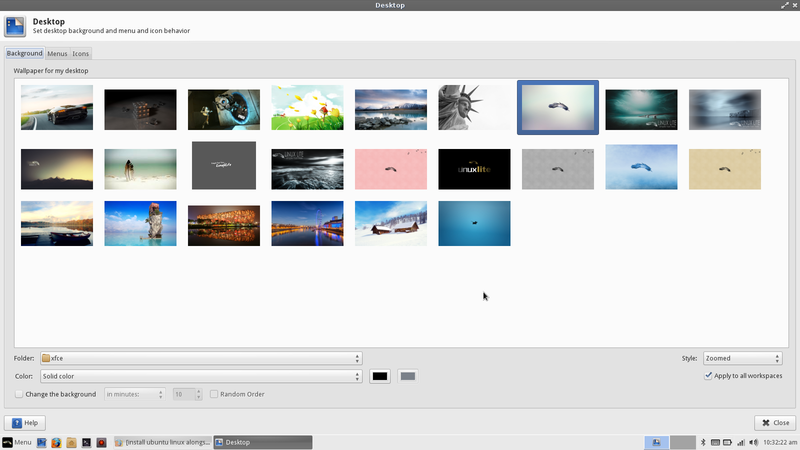 Upon booting you are presented with a standard XFCE layout with one panel at the bottom containing a menu, quick launch icons and a system tray. The system tray has icons for switching virtual workspaces, choosing keyboard layout, power settings, bluetooth settings, network settings, audio settings and a clock. The left side of the panel has a menu button and quick launch icons for minimising all windows, Firefox, Thunar File Manager, Terminal and the Linux Lite Control Centre. Linux Lite implements the Whisker Menu which is the best available for the XFCE desktop environment. It provides a decent search facility and easy to navigate categories. In the middle of the screen is a welcome window with an option to install software and this is where we are going to get into the meat and bones of Linux Lite. Linux Lite by default comes with a fairly small set of applications which shouldn’t be surprising because the size of the ISO image is less than a gigabyte. There are definitely enough applications to get you by with Firefox for web browsing, the Thunderbird email client, the LibreOffice suite and VLC media player. 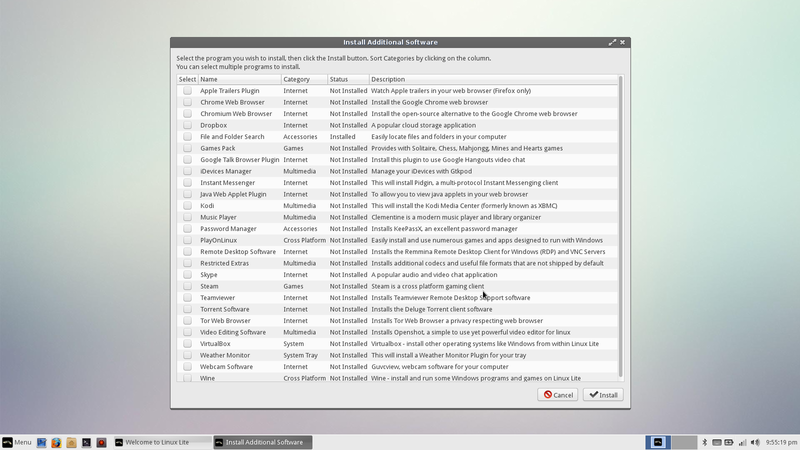 What I really like about Linux Lite (and it is the same thing that I really liked about Bodhi Linux) is that it has its own software installer with a list of commonly used applications. You can access this installer from the welcome screen or via the menu in the system folder called “Lite Software”. The Linux Lite Installer has every major application you can think of including Dropbox, Skype, Keepass, Clementine, Chrome, Steam, Openshot, Kodi, Restricted Extras, Teamviewer, Java Plugin and the Tor Web Browser. You will definitely want to install the Restricted Extras package as it will make it possible to play MP3 audio and Flash videos. If you need any further software you can install it via the Synaptic Package Manager but I think you will agree that the list of software in the Lite Installer is quite exhaustive. If the Lite Installer impressed me then what impressed me more was the Lite Control Centre. (Or Center if you are in the US). This application lets you control all aspects of your computer’s setup. 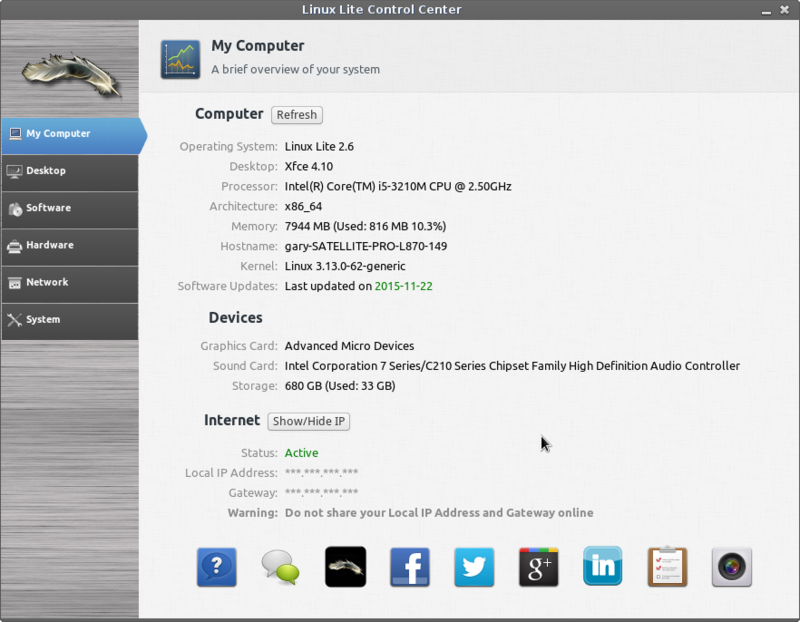 The first screen provides information about your computer and installation of Linux Lite including the operating system, desktop, processor, architecture, memory, host name, Kernel version, last update, graphics card, sound card and hard drive. The desktop tab lets you manage the desktop by adding extra icons such as the home and trash icons, change desktop wallpaper, change the screen saver and manage workspaces. The software tab lets you manage your software sources, install updates, install software and upgrade Linux Lite. 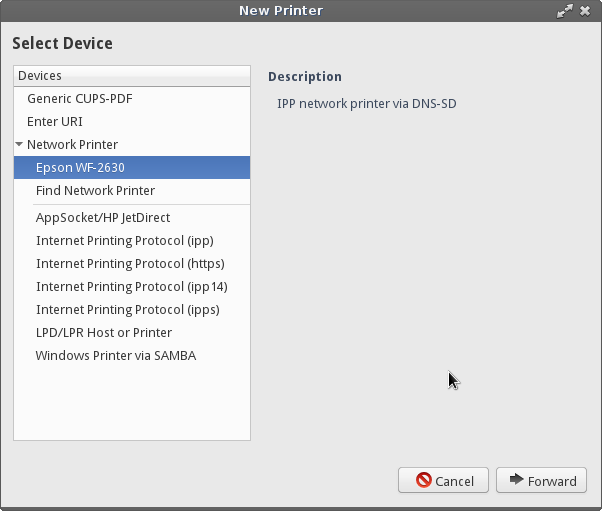 The hardware tab lets you set up printers, manage removable drives, adjust monitor settings, install drivers and adjust the power management settings. 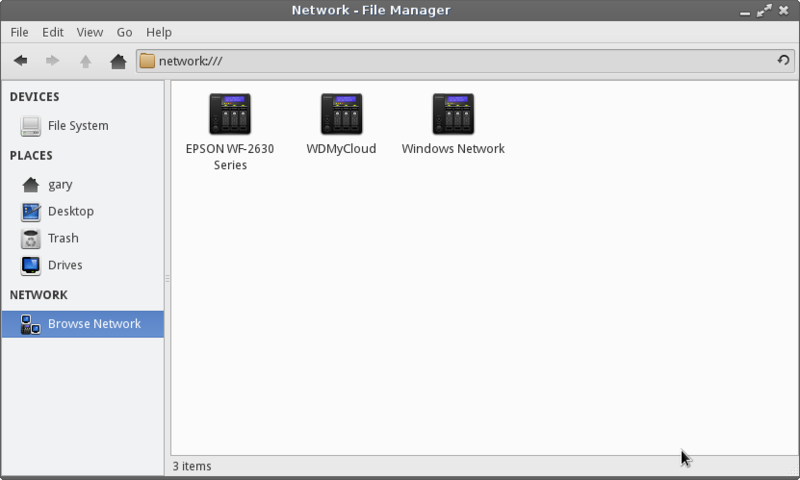 The network tab lets you manage wireless networks and browse network shares. Finally the system tab lets you partition drives, change date and time, add and remove users and do pretty much anything else not covered in the other tabs. Setting up my wireless Epson printer was a doddle. From the Control Centre I chose the printer settings icon and clicked on “Find Network Printer”. My printer was picked up straight away and I was given the option to download and install the appropriate drivers. The other device i always need working is my network drive. Linux Lite picked up the existence of the WD MyCloud device but connecting to it was highly problematic. To be fair this is more a fault with the drive than Linux Lite because Windows has troubles connecting to it as well. Only Nautilus seems to be capable of connecting to the WD MyCloud device. The Linux Lite software installer includes a plugin for connecting IPods and there were no issues when I connected my Samsung Galaxy phone. My Sony Walkman was also picked up and worked well. Clementine is top notch and probably my favourite audio player, although I do like Rhythmbox as well. In order to play MP3 audio you will need to have installed the “Restricted Extras” package. Clementine has a really clean and simple interface. Adding music is straight forward and there is support for external audio devices. You can create and manage playlists as well as view artist and song info. There is also a very powerful search interface which searches various radio stations, including Spotify and Last.fm. 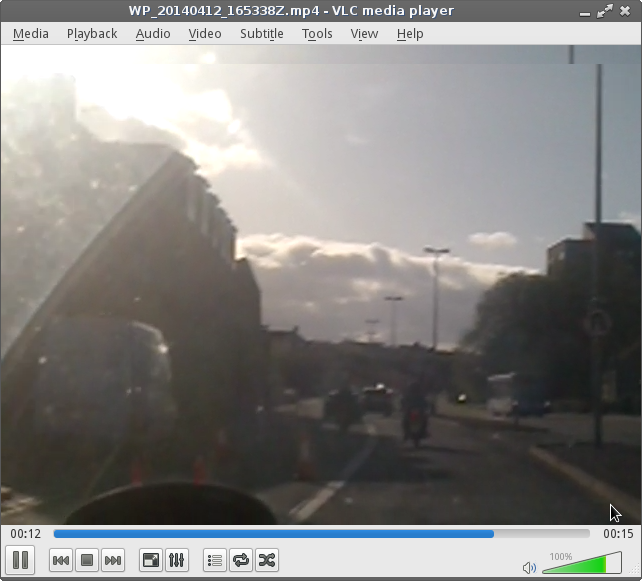 The video player within Linux Lite is VLC and this is easily the best media player on any platform. It provides seemless video playback from both local and online sources. In addition to VLC you can install Kodi which is the new name for XBMC. This turns your computer into a media centre. You can also install Openshot from the Lite installer which means you can create and edit your own videos. Linux Lite uses the XFCE desktop environment which means you can make it look and feel exactly how you want it to. This guide shows how to customise the XFCE desktop environment. 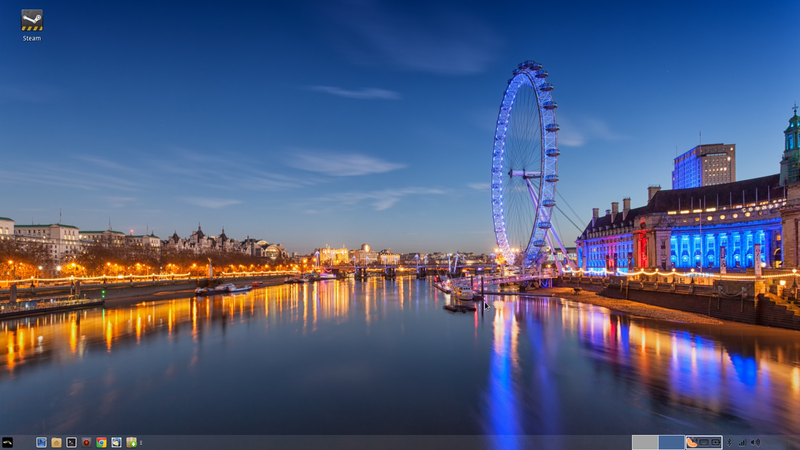 Linux Lite itself comes with a really nice set of custom wallpapers. Videos would stutter in VLC whilst performing a file transfer from an external drive even if the video was already on the machine. Despite choosing the English UK option in the installer the language was set up as English US. As you can see nothing majorly wrong although my computer is fairly powerful so I am surprised by the video issue. When I decided to review Linux Lite this time around I was slightly perturbed by the fact that there isn’t a UEFI image available and without much software installed I wonder what would make somebody choose Linux Lite over Linux Mint. Even if you are using older hardware Linux Mint has an XFCE version or even the MATE version meaning that it would be every bit as Light as Linux Lite. Therefore I needed something that would give Linux Lite an edge over Linux Mint. Then I stumbled across the Control Centre and the Software Installer and these applications make Linux Lite a worthy Linux distribution. Linux Lite is every bit as good a Linux Mint and highly recommended especially on older or less powerful hardware. It is a worthy replacement for Windows XP, Vista and even Windows 7. Strange that people keep using the term " worthy replacement", for Windows XP/7. Not sure these are even on the same page as Linux. How is Linux Lite compared to Lubuntu? As Eduardo Sanchez points out in the comments Lubuntu is potentially a little bit lighter on resources but the menu system is a bit more old school and whilst it is customizable it isn't quite as easy as XFCE. Another option if you are looking at the Lubuntu route is LXLE which is Lubuntu on steroids. I have found Lubuntu to perform poorly compared to LL, have tried both on several machines and LL has been better, also LL has a dedicated forum with an active user base who are always ready to help. Being based on LXDE, Lubuntu is lighter on resources than Linux Lite, but not as customizable. Personally, I much prefer the look and feel of the more balanced Xfce with the whisker menu, even for a Netbook. Lubuntu is much more Barebones. The one problem with Linux Lite is that it is heavily based on PPA's, which can lead to problems with updating. In fact, your visual stutter problem just might be traceable to a mismatch between the PPA and your hardware. I have Linux Lite installed on a Gateway laptop from the early 90's. And it makes this dinosaur of a laptop run like a greyhound! I don't have the stutter problem that the author experiences. It might have something to do with a video driver conflict? or as "Emery" stated, an issue with the PPA's? Either way Linux Lite is PERFECT for older machines, and for devices that don't have a lot of resources. As for it being a "worthy" replacement for Windows? ANY version of Linux is MORE than worthy to be a replacement for Windows! LoL! Hi, well I started playing Linux Linux because I was frustrated with Windows, all that downloading, anti viruses, tweaks,and this was getting to me. I have an old HP510, well needless to say Windows XP was obsolete, I could not get the computer to work smoothly on later windows os's. Well I managed to get Linux Lite on this machine. This machine not had one hickup since loaded Linux Lite is. Icons on the desk are not steady, especially at boottime and after upgrades. I already noticed this in former versions of LL. I did hope it would be done in LL 2.8. but no. For the rest LL is a great OS. I could not help but notice the specs of your computer .. i5@2.50GHx and over 7 gigs of memory .. I wish it had been a review of how it would run on a less powerful machine like mine ..
Like the comment from "unknown", I installed LL on an old Compaq NC 2400 which is very tired and ragged which I rescued from a closet. Tried several Linux distros and have problems with them all. After installing LL the machine runs very well and allows me to use Chromium for my daily routines. The only thing that I can't do is load the screen saver. Very happy with LL and recommend it to anyone to save an old computer. for a newcomer to linux, from xp on an advent netbook, some things work well, but updates will not work, and most programmes etc in the repository simply will not load. The problem is , when things go wrong, you realise you need a degree in decoding who is giving the right advice, so in that respect, it is perhaps worse than windows, and definitely as time consuming. I also dual boot ubuntu on my desktop.It too has significant issues. I read trouble shooting pages, and there is too much conflicting advice, which does not inspire confidence. Linux is not straightforward, it assumes you are at ease with programming (I'm way too old to have encountered computing at school) and it's language. So, I learn nothing, I have to copy and paste into the terminal dozens of lines of code, to get anything done. It smacks to much of high priests. Rant over, ha!ha! Personally, I dislike Linux Mint. It looks and feels boring to me. I don't know why I didn't fall in love with it from the first time. I just hate it. The most beautiful Linux distros I like are Manjaro and Elementary OS. Linux Lite is also a good candidate. I should give a try.